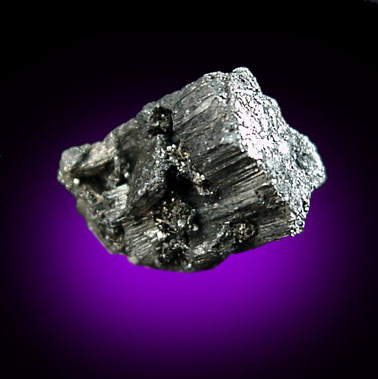 Description: Single crystal of dark metallic bournonite with flat termination. 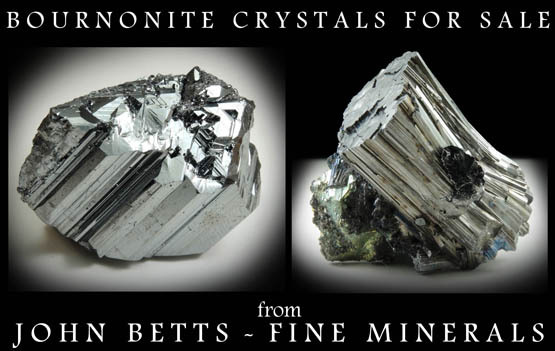 The sides are striated with twin reentrant crystal faces. See article: Mines and Minerals of Peru (Huancavelica Group; The Julcani District) in Min. Rec., July-Aug. 1997.